Are you ready to be surprised? This retrospective begins with sculptures Tuck made as a young art student, goes through his early years of teaching, and concludes with his professional years. There is a lot of abstract work as well as the figurative sculpture for which he is best known. The retrospective exhibition is held at Indiana University South Bend, June 6 – July 23, 2017 at the gallery. A companion display is in the entrance to the Schurz Library on campus. That display consists of eighteen heads, both real and imagined. It will be up throughout June and July. 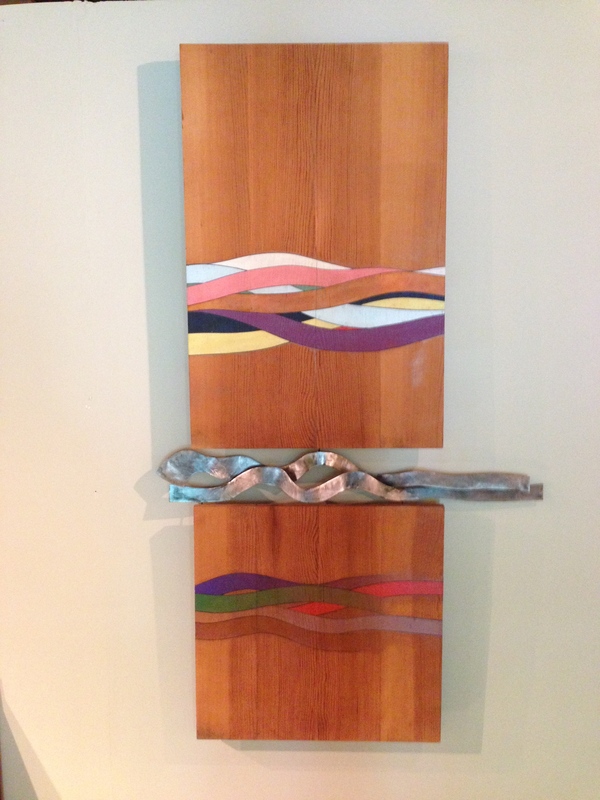 This painted pine and steel wall sculpture was created in 1971. This entry was posted in Exhibition and tagged abstract art, exhibition. Bookmark the permalink.